Some people think Jesus died on a Wednesday, and rose on the sabbath. That means the first day of the week, which Luke says is the 3rd day since the Crucifixion, was really the 5th day, going by the way the Bible counts. But what’s two days between friends? Some people think Jesus died on a Thursday, and rose on the first day of the week. 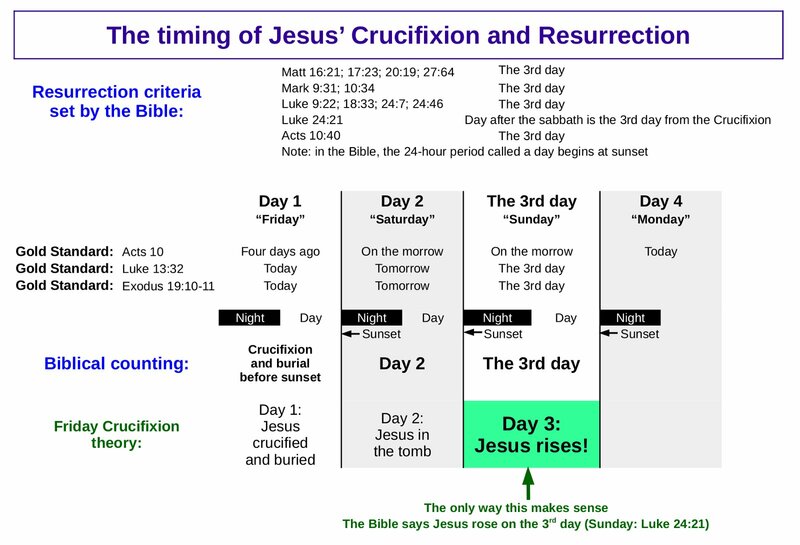 That means the first day of the week, which Luke says is the 3rd day since the Crucifixion, was really the 4th day, going by the way the Bible counts. So what? What’s a day or two between friends? 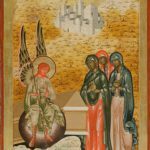 I’ve explained here why a Friday Crucifixion and a Sunday Resurrection are required to keep the Bible accurate and consistent. I’ve also posted here a Twitter discussion I had last year. 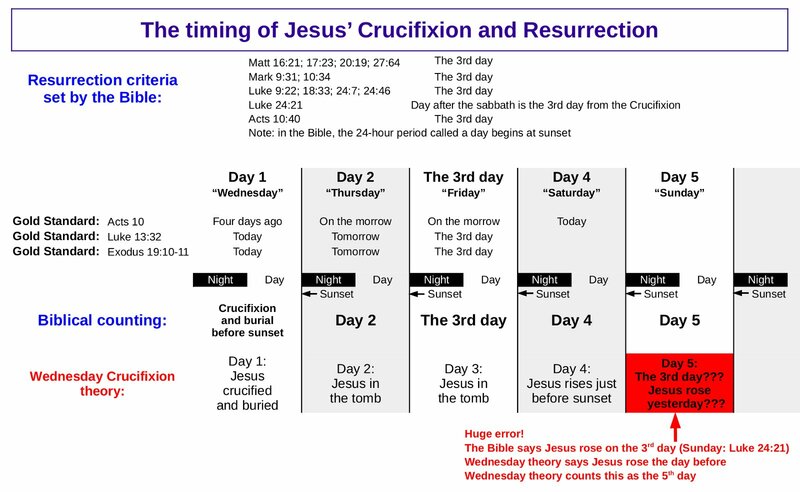 Here are three charts laying out the days of the week and how attributing each day to the Crucifixion affects the validity of the Bible’s statements. 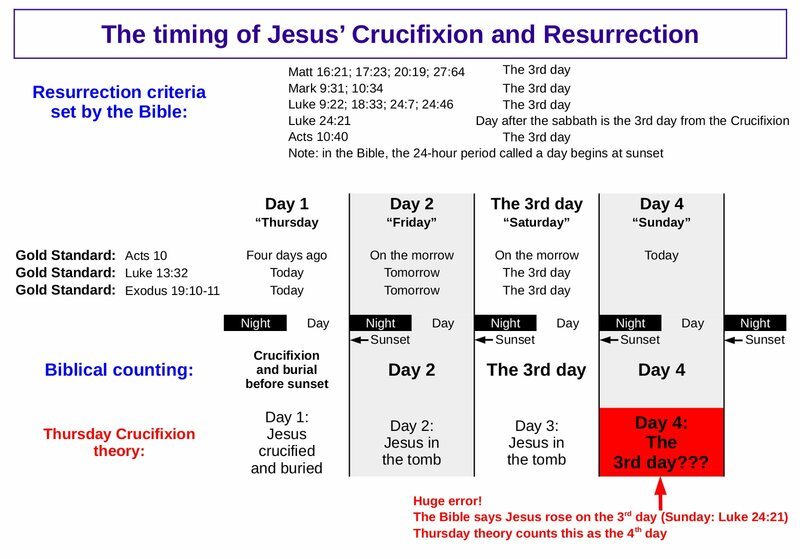 Note that the gold standard on how to count from 1 to 3 days the way the Bible does – Acts 10, Luke 13:32, Exodus 19:10-11 – is compared in the charts. 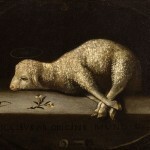 Luke 24:21 states explicitly that the day after the sabbath is the 3rd day since the crucifixion. 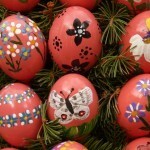 Therefore we must start with the crucifixion and end with the 3rd day on Sunday. Only one of these charts gets it right. Part 1 – 3 days and 3 nights – from when till when? 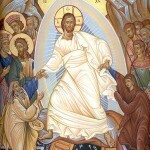 Part 4 – When did Jesus die and rise from the dead?